"As a long standing student of Shifu Alan Tinnion, I have always been impressed by his professional and dedicated teaching methods. It is without doubt, that his way of life is orientated around, and incorporated into, the Eastern philosophies and Traditional Health and Martial Arts that he teaches. His direct lineage to Grand Master Chee Kim Thong, a very famous and most revered exponent of these arts at the highest level, is certainly why he considers it his duty of lineage and honour to encourage all persons of any ability or disability to reach their own personal goals and improve their health and well being through regular practice. My own personal experience over many years as a student with Shifu Alan Tinnion is that his teachings have been invaluable. I have a focus and method with which to maintain and improve my health. I always enjoy the classes and feel sure that the practice over the years has eradicated a problem that I experienced with reoccurring bouts of painful gout. I am also a Type 2 Diabetic but again feel that the Traditional Health and Martial Arts have contributed greatly towards maintaining my health at a level where I am fully active and play badminton regularly for one hour plus with much younger opponents. I am still optimistic, even at the age of 62, that with these training methods and a refined diet, I will soon be able to release myself from medication and the threat of further deterioration and complications leading to daily dependency on insulin injections. My heartfelt gratitude to Shifu Alan Tinnion for his friendship and patience over the years." "When I walked into my first Qigong class I was unable to perform all the moves shown due to injuries I had sustained following an accident. I was unable to turn my neck fully to left or right and I had been seeing a chiropracter in Bournemouth regularly for three years. The Instructor, Dr Alan Tinion (I prefer to call him Shifu Alan), is a qualified Doctor of Chinese Medicine and is the Head Instructor of Qi China International. Shifu Alan can spot people's injuries right away just by looking at how one stands and moves. His knowledge is a tremendous bonus and gives him an important edge. The forms that Shifu Alan teaches are traditional medical Qigong which balances body Qi and help one's body to heal naturally. When I first attended the Qigong classes I had intended to try them for six weeks to see how I got on. It all looked very complicated and I wasn't sure if it would really help my back and neck. But, after six weeks I had full mobility in my neck again and after five months I had no more back problems. Almost 5 years later, I am still attending classes and have also learned very ancient precious forms (exercise routines) that are not taught anywhere else, and I am amazed at how quickly my body responded to the healing enegy generated during Shifu Alan's classes. As the years have gone by, I have had a few other minor body issues emerge and I understand that this is perfectly normal as one's body learns to re-align itself to its correct posture. It actually feels very rewarding to know that my body has mended. I am stronger now and more supple than I was twenty years ago. I have tremendous energy: I work for hours on end without getting tired and I practice what I have learned out of class at home. Also, in a very short period of time, I was able to feel the Qi energy in my hands and I can see it too. This first happened in class one day when doing the Five Element Qigong in 2010. There I was, in the group moving the tree left to right in the Wood Element, and a great column of shimmering white light shimmering between my hands was moving with me; I couldn't help smiling and I still do. It is my understanding that the Qigong postures and forms move healing energy throughout the body, energising organs, tendons, tissue and muscle, bringing fresh blood to stagnant areas, keeping one's body in good condition. Qiqong is especially valuable if one has a sedentary job, as I have, and the benefits of attending Shifu Alan's classes are felt almost immediately. I wholeheartedly recommend Shifu Alan's Qigong classes. They are always very professionally conducted with genuine, unadulterated, beneficial postures and forms not found in any other classes. He is a true Master, sharing true original Qigong, as taught by his Grand Master from the Inner Chamber of the Shaolin Temple. As well as that, Shifu Alan, with his long standing expertise and ability, also has infinite patience and is very kind. What more could one ask for in a real Qigong class?" "Studying Tai-Chi with Master Alan Tinnion, a charismatic and passionate teacher of this ancient Chinese artform, has been a revelation to me. Slow, graceful movements combined with controlled breathing are especially enjoyable leading to meditation in motion. With an alert mind and full body awareness, the therapeutic qualities become apparent. The practice of Tai-Chi restores the equilibrium of mind and body, helps us to focus on each individual movement of the choreography and raises awareness of living in the moment, to experience the joy of being alive." 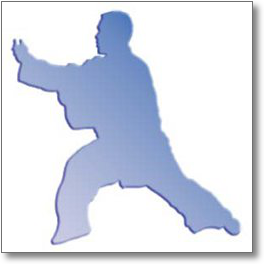 "I have been attending Shifu Alan's Tai Chi classes for a number of years and find them most instructive as we receive interesting information about the movements that we are taught. The classes have also helped me during some difficult years." "I have been practicing qi-gong for 5 years. Since I started with Shifu Alan Tinnion over a year ago, I've noticed my legs, my waist, and my back have become stronger and my balance has improved. My posture has changed, my whole body has changed, and I feel I have more energy than ever before! Practicing qi-gong has definitely made me healthier and stronger. The only downside for most people is to keep on practicing over and over again. Even though it took me a long while to gain benefit from qi-gong, no doubt I will keep on practicing as long as I live." "I have been training with Shifu Alan Tinnion for several years now in both Martial and Tai Chi Arts and it is an honour to be taught by someone so qualified. The Tai Chi is taught at a pace where anyone can follow and is helped by the fact that Shifu Alan is so patient. The Tai Chi training, itself, will help with your breathing, balance, and coordination. If you're looking to give your body a new way of life, I cannot recommend this enough. Make it part of your life and it will bring fantastic benefits." "I have been regularly attending Qi-Gong classes for nearly five years with Shifu Alan Tinnion. My health has greatly improved in many ways. I am more flexible, my back and legs are much stronger, my posture is better and I feel younger. I have also benefitted greatly on a more emotional level. I now feel much more balanced, positive and more confident. The slow graceful movements and breathing exercises help to calm my mind and enable my body to build energy. I hardly ever feel tired now whereas before I felt tired most of the time. Alan is very highly qualified and conducts his Qi-Gong classes in a precise, dedicated and professional manner. He has an unbelievable amount of patience and sets a friendly feel within the group. In addition to teaching us the postures, forms and applications, Alan also shares with us some of his expert knowledge of TCM. This enables me to understand how I can apply Qi-Gong to my daily life which has helped me to feel healthier, happier and to achieve more. I am grateful to Alan for helping me to help myself." " I introduced myself to Shifu Alan Tinnion's Qigong class in October 2013 seeking a new interesting hobby that would benefit my health physically, mentally and spiritually. On arrival at my 1st session the other attendees were very welcoming so I immediately felt comfortable in class. During my initial visits I wasn't able to follow the set of movements with much accuracy but I was reassured that this is quite normal and after only a few weeks it all started to make sense and become more clear, I soon realised that I had come to the right place. Alan's patience and calmness combined with his style of teaching and experience had an immediate impact on me, no matter how physically tired or what state of mind I was in prior to the classes I would always feel happy, relaxed and invigorated by the time I left. Some weeks after my initial introduction, I was also introduced to the martial art class. It's interesting to learn Qigong and Gongfu collectively as there are many similarities despite the contrast in speed and physical requirements. I enjoy practicing the Qigong at home or in a quite spot and always feel calm and reenergised as a result. My core strength, flexibility and posture have improved dramatically since joining, I also feel more aware and find it easier to gain perspective during stressful situations. I can't imagine a teacher as insightful in the ancient arts as master Shifu Alan Tinnion. I would feel confident in saying his method of teaching is second to none. The extent of Shifu's knowledge seems limitless and is often quite incomprehensible. I feel I am always learning and as regular attendee I am hugely benefitting from the class. "